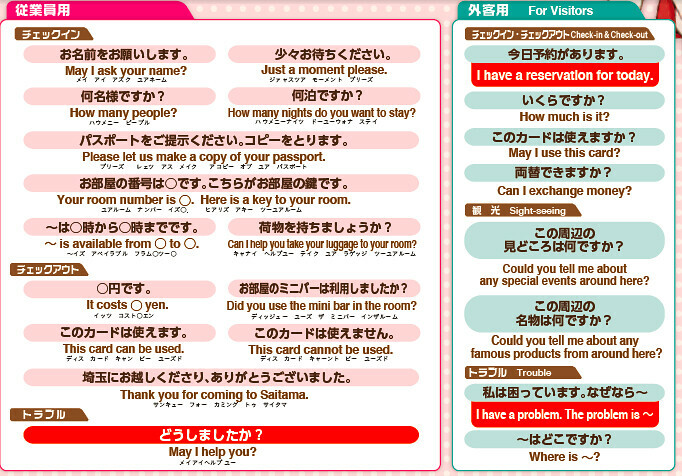 Saitama Prefecture has come up with a novel way of a communication sheet called “O · MO · TE · NA · SHI communication sheet” which they intend to use to communicate with tourists coming to Japan, primarily the Saitama prefecture. With overall tourist numbers going up and Tokyo 2020 Summer Olympics on the horizon, this idea / attempt is one more to help communication between visitors and their Japanese counterparts. The communication sheet will be printed on A3 sized sheets and has three main usage scenarios. Regularly used terms will be printed in multiple foreign languages (Chinese, English and Korean) and Japanese on the A3 sheet and parties involved in communication can simply point to the needful phrases and hold a conversation without any translator required. Saitama has also roped in an original anime character Sakuya to make the material feel more “friendly”. General exchange of “thank-you”, “good-night” are written on the communication sheets and although this idea is unique, it will be quite amusing to see these in practice for real! Quite some thought has gone into creating these sheets, with standard “What, Why, Where” phrases also on the sheet and numbers to indicate number of people, number of items etc also can be easily pointed out. « Hydrogen Town : Olympic Town in Harumi to be powered by Hydrogen!! !